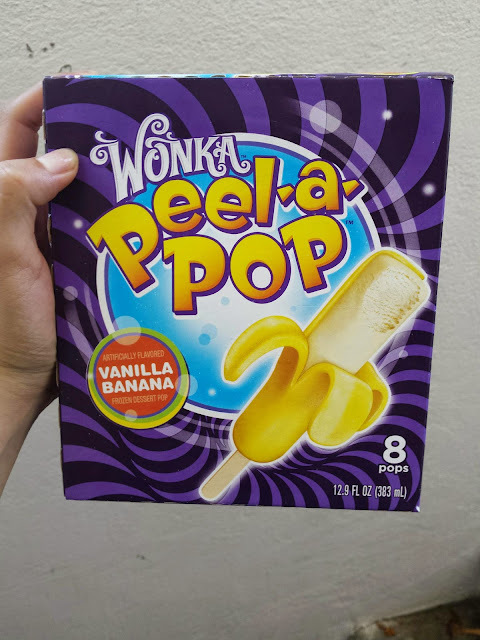 I'm not sure how many people have heard of or have tried one of the newest Wonka creation by Nestle. 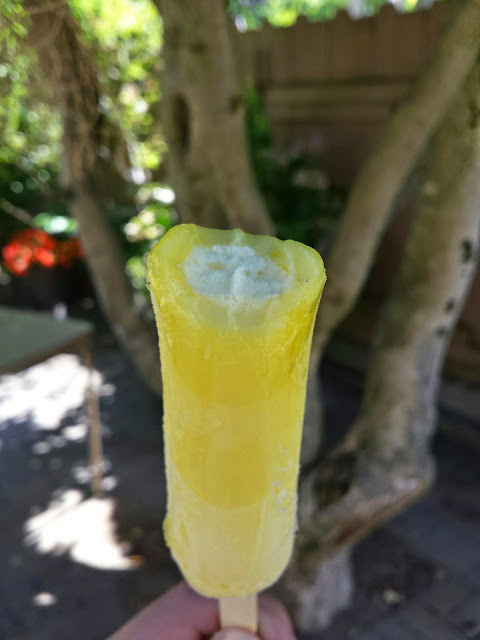 This new product is in fact an ice cream that you can 'peel' open (like a banana) to eat! There are two flavors that I know of, a Vanilla/Banana and a Grape/Banana. Basically, the outside part that you peel is a sort of gummy texture and the directions on the back of the box shows you how you can eat it. As you can see from the steps I followed, the end result of the bar being fully peeled definitely resembles a banana! Now for the actual taste of the product. I have to say, I like the concept of the product, but the texture of the gummy and taste is a bit weird. I wasn't sure if that was supposed to be banana flavor, but I couldn't really taste it as much as I'd like. Also, the gummy was weird and could somewhat be slimy. The bars are actually a lot smaller than I thought they'd be too (sorry, the pictures don't really show true size). 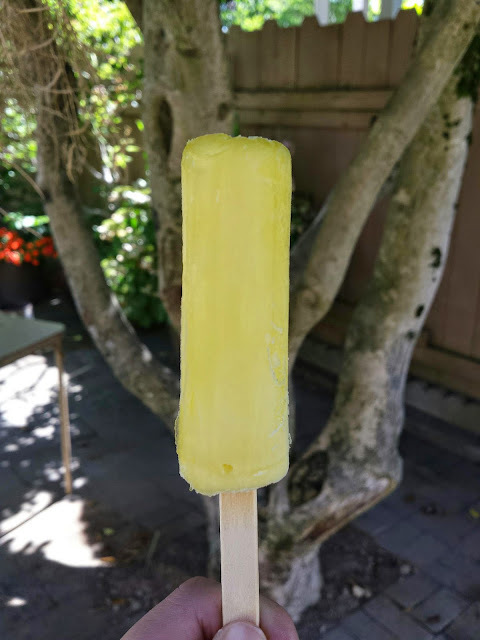 I found a coupon for $1.00 off on the Sunday paper and found this ice cream at Target and paid around $2 to $3 for a box of 8. I'm glad I tried this since I always love new and innovative things, but I don't think I'd repurchase this. 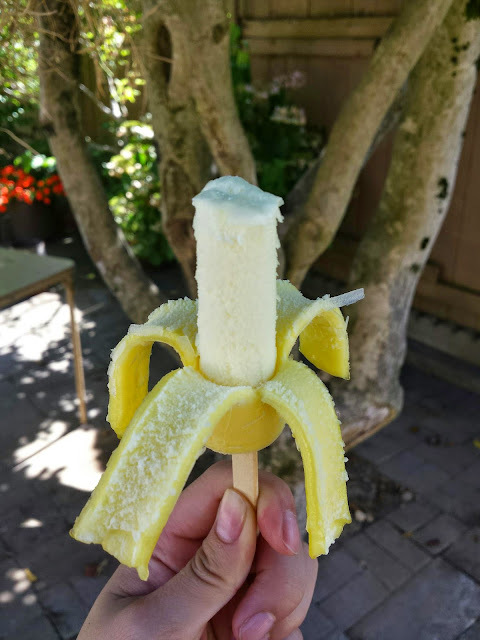 If you have kids or babysit or have younger siblings or what not, then I think this type of ice cream would definitely be fun for them to try out. Readers, would you ever try this type of product? 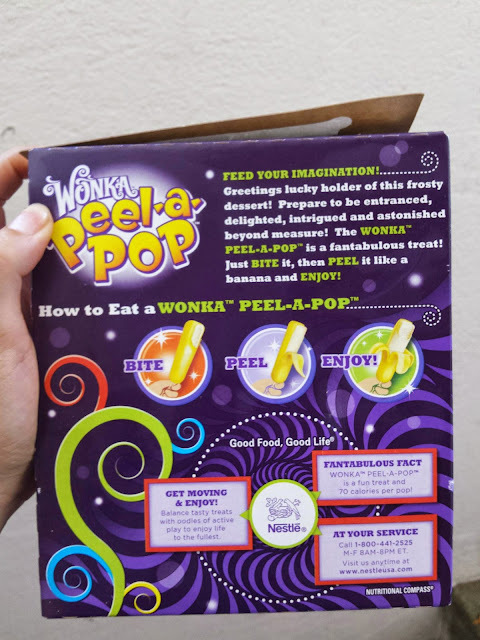 Have you ever had Wonka confectionary products? What are your favorites? Let me know, my personal favorite would probably be the Nerd Ropes and Laffy Taffy! That yellow is amazing color ! !